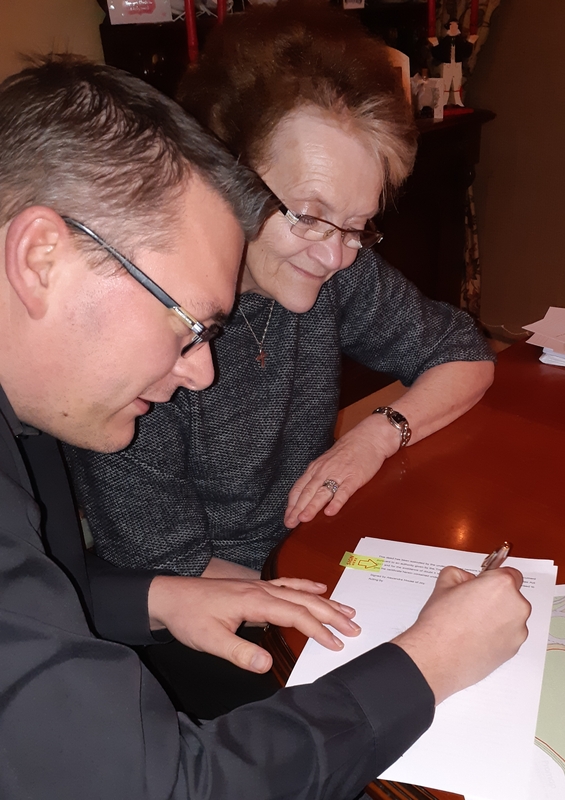 Andrew our Trustee Accountant signed the first important legal document for AHoJ. On behalf of all Trustees, Rachael & Andrew signed an Option Agreement for the Land Registry. The first big step towards our Vision and Mission for Alexandra House of Joy.